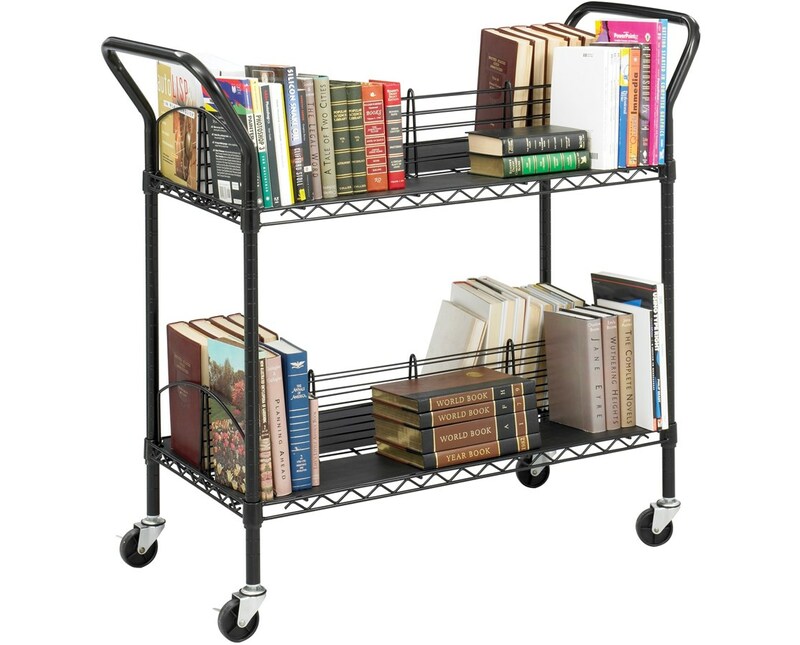 The Safco Wire Book Cart is an easy-to-transport mobile book shelf that provides solution to any office or home organization needs. It features two double-sided shelves that slightly slant inwards to prevent contents from falling off. These shelves can hold a weight of 100 pounds each and can also be adjusted in one-inch increments. This cart runs smoothly on four three-inch swivel casters and two of these casters can be locked to keep it cart stationary. Maneuvering it is done easy with the handles that are provided on both sides of the cart. 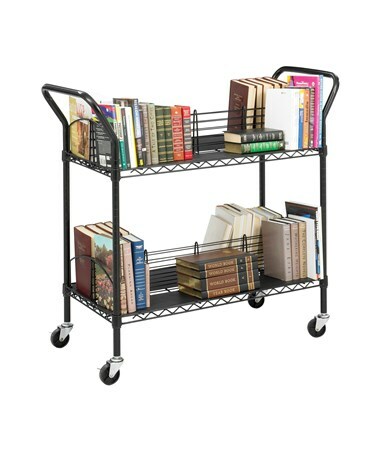 This mobile bookcase is made of steel with a powder finish. It is GREENGUARD certified and NSF listed for public health and safety standards.